Health Services Administration major Rojean Sanders, Army veteran, is president of the MGA chapter of Association of Healthcare Executive Students. Full Name: Rojean Vernita Sanders. Employment: Work study student in the Office of Veteran and Military Services at Middle Georgia State University. Degree Objective: Bachelor of Science in Health Services Administration. Activities: President of the National Society of Leadership and Success and Association of Healthcare Executive Students. Member of the Student Vets Association and Black Student Unification and an Experiential Learning and President’s List student. She also serves as a peer financial counselor. Career Goals: “I want to become a nurse. I plan on obtaining my degree in Health Services Administration and eventually earning a doctorate in Nursing. I believe that learning administration while becoming a nurse will allow me to become a more well-rounded and empathetic healthcare professional. One day I'd like to participate in 'nurses without borders.' I hope to get involved in efforts to set up free health clinics for children in underprivileged areas." 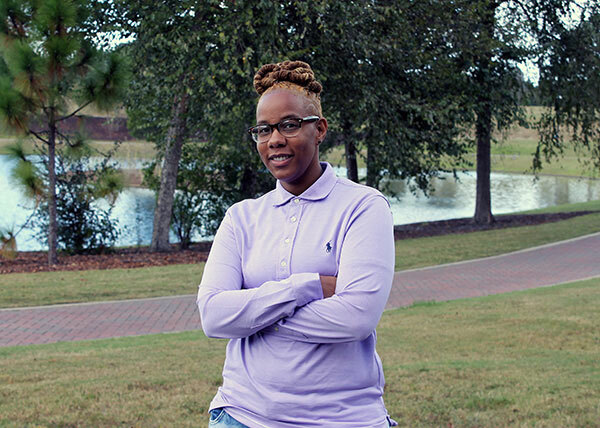 Her greatest academic experience as a Middle Georgia State student has been … “Obtaining an Associate of Science degree with honors. This was a great academic success for me because I suffered a life-changing injury in July 2008. I spent - and still spend - countless hours at various doctor’s offices. I was told by one healthcare provider that I would never be able to go back to college and that if I did, I wouldn’t do well because of my injury. So being able to get a degree and do well in my classes represent enormous success for me and all the healthcare providers that spent hours nursing me back to health." To her, “greatness” means … “Having the drive to change your life. It also means hours in the library, hours of reading, asking professors for help if you need it, and holding yourself accountable for your academic and personal successes." In five years… “I see myself continuing my education in nursing and traveling abroad to become a more knowledgeable healthcare provider. After I graduate, I hope to continue making my mark on this world through community service and excellent healthcare services."